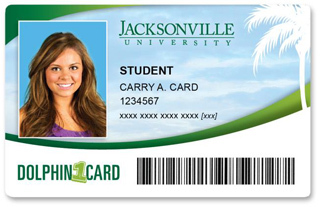 A company called CardSmith is working toward a Fall 2004 launch of a new campus card offering. Though the company is new its management team is made up of campus card veterans. CardSmith’s Founder and CEO, Jay Summerall, helped lead both AT&T and Student Advantage in the campus card arena. Co-founder and VP of Product Development, Taran Lent, created an off-campus card program at Dartmouth in the mid-1990s. He continued these efforts by leading Student Advantage’s SACash development team after his company was acquired by Student Advantage in 1998. CardSmith will be offering a product that powers core campus card applications, with a focus-at least initially-on enabling students to conduct financial transactions on and around campus. The core of the product offering is a hosted authorization system that utilizes open standards-based technology to facilitate transactions at university-approved locations. But unlike more traditional campus card payment solutions, CardSmith leverages the existing national payment infrastructure and processing networks to acquire and route transactions to its centrally-managed host processing system. In essence, the campus card payment will function with the sophistication of a traditional point-of-sale debit card-but with the university still in full control of the card. How do they do that? CardSmith’s software and servers will be housed at a major, secure transaction processing company and the company will route campus card transactions to that server in the same manner that bankcard transactions are pointed to individual cardholder banks for authorization. “This fall, we will support multiple accounts associated with an individual card,” adds Mr. Lent. This can be accomplished because CardSmith has control of both the processing end and the merchant point-of-sale end of the solution. Based on the merchant terminal ID number, the processing server knows the specific account from which to access funds. For example, imagine that a cardholder with card number 1111-2222-3333-4444 has funds in both an unlimited use account and a dedicated on-campus meal account. When the card is used at the on-campus pizza parlor, the pizza vendors terminal ID is sent along with transaction to the server. The server looks up the terminal ID and sees that the merchant is an on-campus food vendor and defaults to use funds from the on-campus meal account. If the cardholder has no on-campus meal account or there are no funds in the account, the funds are accessed from the unlimited use account. Transactions can be “split-tender” or paid partially from one account and partially from another automatically. “We will also support point-based meal plans and board plans as well as time-of-day and merchant location discounting,” says Mr. Lent. This, too, is accomplished by setting a priority ordering for the account to be used for a specific transaction originating at a specific merchant terminal. If a cardholder has a board plan, use that first at the campus dining hall but don’t access this account at an off-campus retailer. And to enable total student control of these accounts, this default order can be overridden at the merchant terminal at the request of the cardholder. “A real benefit of the system,” says Mr. Summerall, “is that we have been able to leapfrog technologically. We are using IP-addressable terminals, 802.11 B wireless capability, and SSL encryption.” Existing campus card vendors are working to catch up with emerging technology and standards, he added, while CardSmith is building upon them. Additionally, all aspects of the transaction are handled for the client institution. CardSmith will setup, deploy, and support the terminals; process transactions; settle between campus and merchant accounts; and provide reporting to each party along the way. They also provide a full-featured cardholder website to enable account management and revalue. Both Mr. Summerall and Mr. Lent concur, “we want to get a handful of customers for this first year, show them how well the system and our service operates, and then build from there.” Certainly, they have the experience to do just that. We look forward to keeping tabs on the initial installations of this new campus card innovator.